By Dace Mahanay, Regional Program Director at STRYDE. Jennifer, a young mother from Gulu, Uganda, faced bleak prospects after her husband passed away. She had been kicked out of her home by her in-laws and had no job with which to support her family. Without a high school education, she was not optimistic about finding opportunities. “Even casual jobs were not easy to come by, because…not many economically engaging activities were taking place within my village,” she said. Across sub-Saharan Africa, millions of young women like Jennifer are sidelined from economic opportunities. The International Labor Organization found that one third of young women in the region are not working, studying or receiving training, more than double the rate of their male peers. With more than 6 million young women coming of working age every year, African economies must create more new jobs and business opportunities for them. But it’s a steep challenge. Across Africa, women generally have less access to education, training, financial services, and assets than men do. In Jennifer’s home country of Uganda, for instance, women own just 5 percent of the land, though they perform much of the labor on family farms. Cultural and traditional views of gender roles can also limit women’s opportunities. Addressing the problem, therefore, requires not only building individual capacity, but also changing the mindsets of families and communities and forging inclusive networks. That is the mindset behind an entrepreneurship program that has trained tens of thousands of young people across Africa and is now helping local institutions adopt this approach: the Strengthening Rural Youth Development through Enterprise (STRYDE) program. Since 2011, Mastercard Foundation and TechnoServe have partnered on STRYDE to equip young people in rural communities across Kenya, Rwanda, Tanzania, and Uganda with the business and personal skills they need to develop economic opportunities in their communities. The results of the first phase of the project were striking: the 15,000 STRYDE graduates had achieved average income increases of 133 percent, with 96 percent of participants reporting increased savings. The percentage of “idle” youth (those neither working nor studying) fell by 80 percent. A second phase of the project, which will reach 48,000 additional young people by the time it is completed, is also showing positive results. STRYDE participants receive three months of training on business skills, like saving and managing finances, but also on “soft skills”, like personal effectiveness and goal-setting. The participants also receive nine months of tailored “aftercare” and mentorship support to reinforce the content of the training and support youth in opportunity identification. This focus on both hard and soft skills is especially important for women, who typically receive little encouragement to think entrepreneurially. Jennifer moved back with her parents and enrolled in the STRYDE program. She soon began to see economic opportunities all around her. “As a family, we had a chunk of land. But I had never thought of agriculture as business, but for only growing food for household consumption,” Jennifer said. After receiving training, she asked to use an acre of her brother’s idle land to try her hand at commercial farming. Now, she earns more than $800 per harvest season from her eggplants, okra, and tomatoes, and she can pay for her children’s school fees. “My children are now assured of a better future thanks to the knowledge and skills that I acquired during the training,” she said. In some households, husbands, parents, and in-laws view women’s roles as primarily domestic, and do not see why young women should attend training, work outside the home, or access family resources for a business. In many cases, these family members exercise a sort of veto power over the ambitions of women. As a result, STRYDE has worked to engage both men and women on the issue of gender. A training module – “We Can Fly” – helps participants understand the impact of gender norms and highlights concrete benefits of women and men both contributing economically and making decisions together. In Rwanda, for instance, a STRYDE participant named Philippe decided to start a new business growing and selling vegetables alongside his wife. He asked her to go into business with him, he explained, because of how the program had changed his ideas around gender. Previously, he thought a woman’s role was at home. 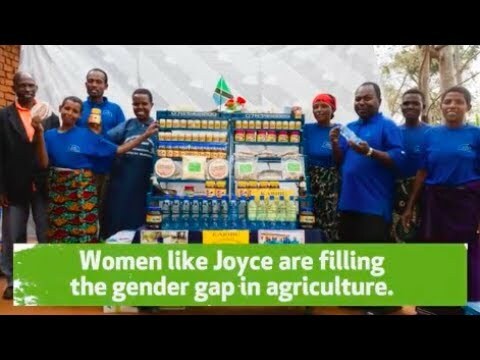 After seeing the success that female STRYDE participants were achieving in their businesses, however, he realized that his wife could also contribute to the family’s income. Farmers and entrepreneurs need access to customers and suppliers, as well as mentors and peers who can offer advice. Unfortunately, in rural Africa, women tend to have fewer of these linkages. The STRYDE program takes several steps to address this. First, the mixed-gender training encourages male and female participants to build connections. Because men tend to have larger business networks at the beginning, the female STRYDE participants can take advantage of those linkages. The program’s aftercare component is also designed to improve access to networks and markets–for example, by providing young women with tradeskills training from established entrepreneurs or introducing participants to outgrower schemes. Networks were key to the success of Rose, a STRYDE graduate in Kenya. Before joining the program, Rose worked in her uncle’s agrovet shop. But after going through the training, she decided to go into business herself. With her new business skills, Rose was able to successfully apply for a small loan to start her own agrovet store. She credits the program with strengthening her communication and negotiation skills, which helped her attract customers. She now supplies animal feeds to two cooperatives, an important source of income for her. ““I am now able to pay school fees for my three siblings, who are still in school. I am happy to have lessened the burden of raising my young brothers and sisters on my mother, a single mother who really struggled to put us through school,” she said. Women entrepreneurs like Rose are not only helping themselves and their families; they are also providing essential services for others. This proves an essential point: empowering women economically not only benefits individuals and communities, but society as a whole. 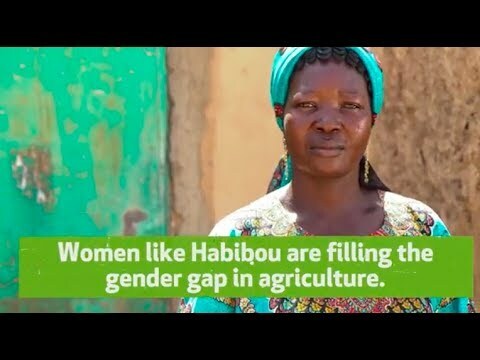 According to a UNDP report, closing the gender gap in pay and access to paid work would add an extra $95 billion to the economies of sub-Saharan Africa every year. By equipping women with the right skills and mindset, addressing gender norms in households and communities, and ensuring that women have access to networks and markets, we can help close that gap. This article originally appeared on the Chicago Council’s Food for Thought blog.